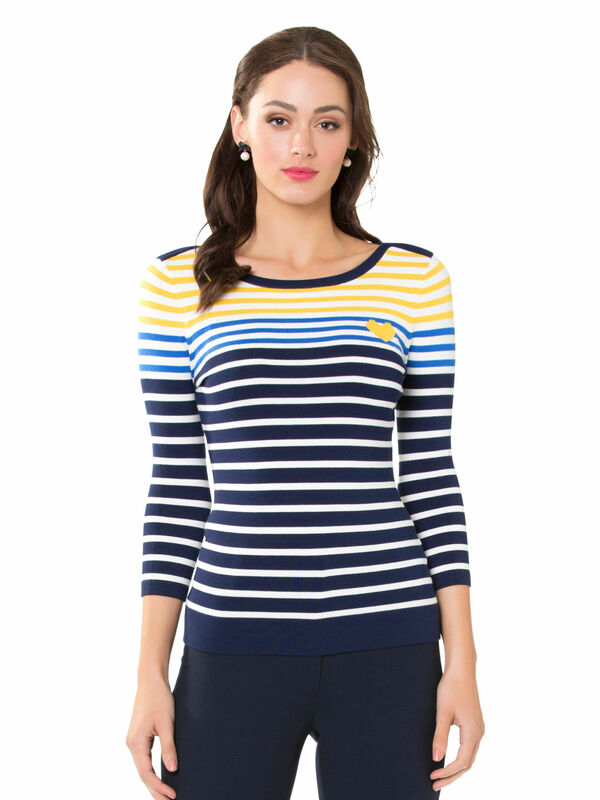 Stripe It Lucky Jumper https://www.review-australia.com/asia/stripe-it-lucky-jumper-navy/RE19KW020.RENVY032.html Bring a splash of sunshine to your winterwear with this ultra soft striped jumper. 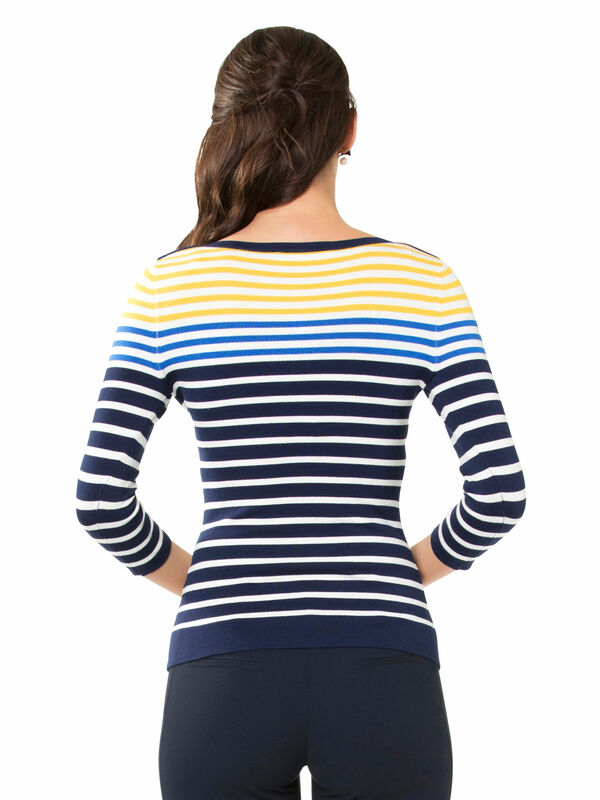 Your new weekend favourite, the jumper is a playful upgrade to the bateau stripe classic, in tones of cream, navy, blue and sunshine yellow. 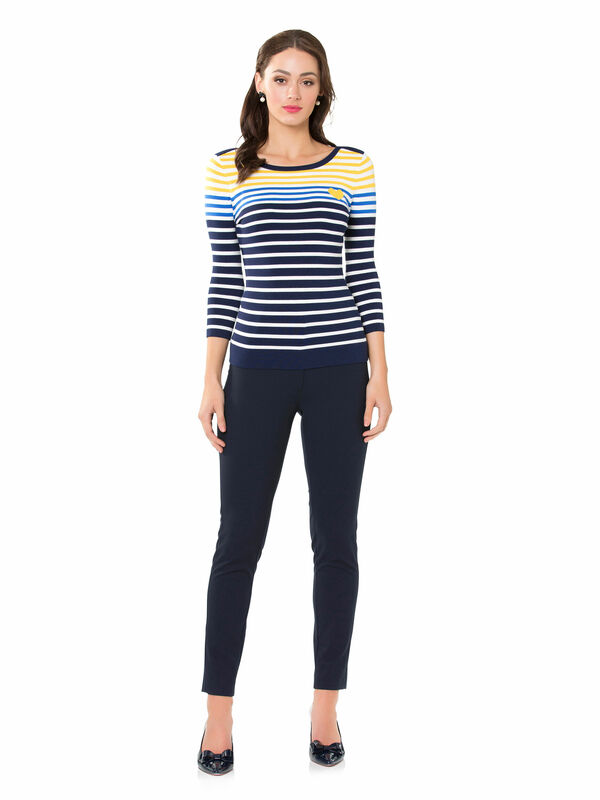 The viscose blend style offers warmth and comfort. 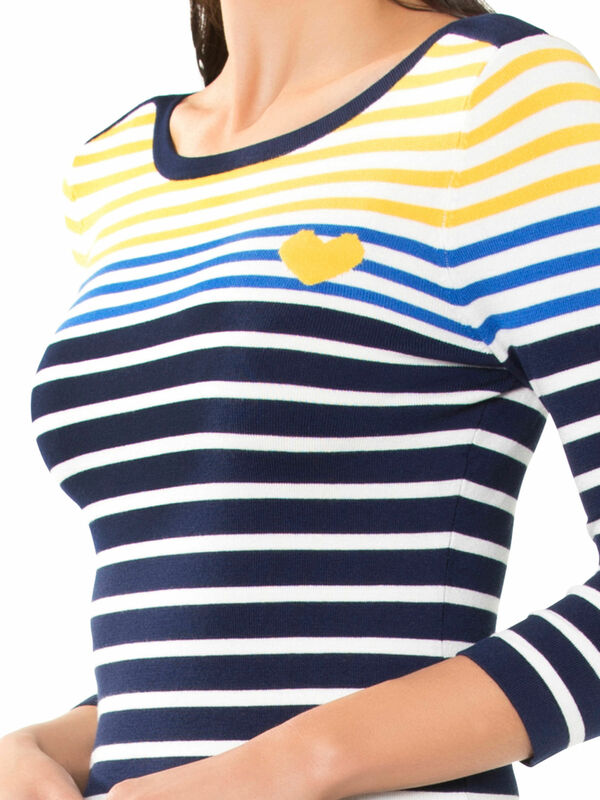 The jumper has 3/4 length sleeves, a ribbed hem and a loveheart patch detail.